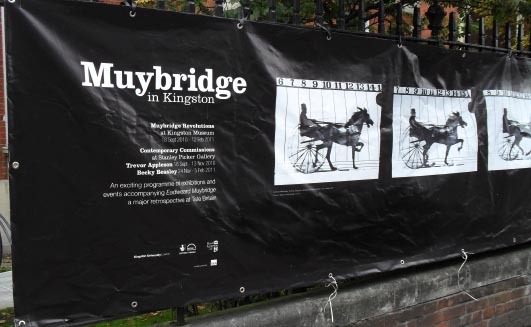 The Muybridge in Kingston project is currently inescapable in the old photographer’s home town. The Muybridge Revolutions exhibition (original lantern slides and motion discs) at the Museum continues until 12 February, with ongoing lectures. 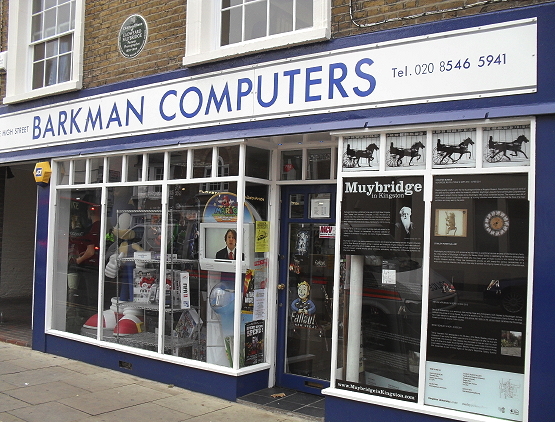 Barkman Computers in the High Street – Muybridge’s childhood home, just across the street from the Coronation Stone – has a large window display, and in the Rose Theatre next door some of Trevor Appleson’s large colour photographs of human movement/activity are being shown. In the evenings, there are spectacular Nocturnal Projections (18 Sept – 11 Feb). This artwork was also in one of the rooms at the Stanley Picker Gallery. Also at the Stanley Picker, is Appleson’s Dance of Ordinariness – “an ambitious new moving-image and photographic work inspired by Muybridge’s famous collotype sequences of human figures. As part of a residency at The London Contemporary Dance School, the artist has invited dancers to reinterpret gestures and actions that relate to the various visual narratives that Muybridge himself built into his original motion studies”. The multi-screen presentation echoes the multiple-view format of the Animal Locomotion plates. One sequence shows water flowing from a mop in slow motion – the effect half-way between Muybridge’s time-frozen water in a similar scene, and watching this happen in real time – allowing us to see (as in Muybridge’s published collotype sequence) the detail in the water’s movement, at the same time that the synthesized motion is being presented. 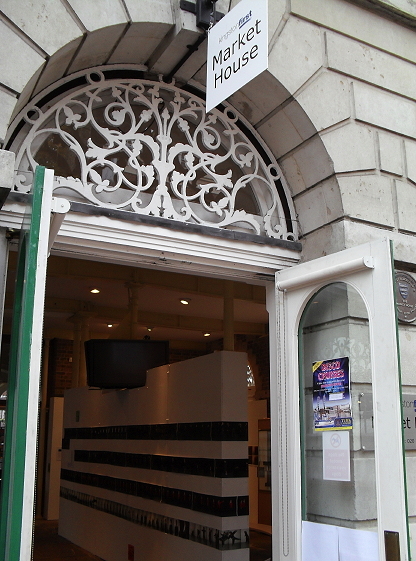 The exhibition runs until 13 November, with Becky Beasley’s exhibition following from 24 November. Posted here by Stephen Herbert. 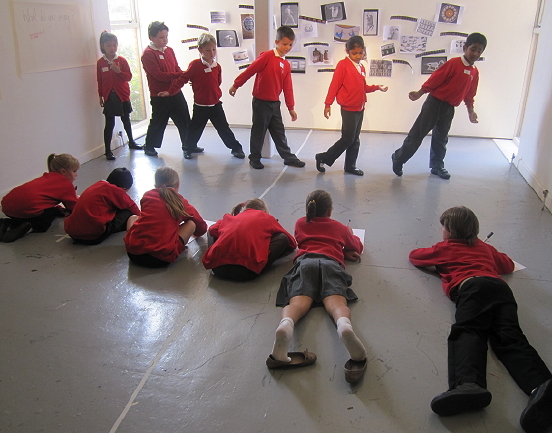 Children’s artwork, and workshop photograph, reproduced by kind permission of Natalie Kay, Education Coordinator for the Stanley Picker Gallery. 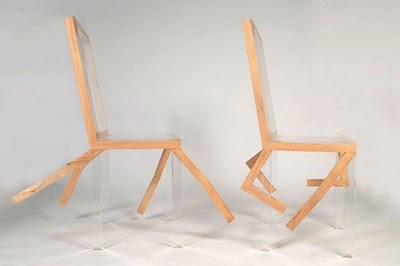 “Mike Kann of Studio801 created the Muybridge Chair (Gallop Series), which were recently exhibited during the London Design Festival at Designersblock. Inspired by the animal study photography of Eadweard J. Muybridge (known primarily for his pioneering work with the use of multiple cameras to capture motion), Gallop are a range of chairs resembling the gait of a horse. 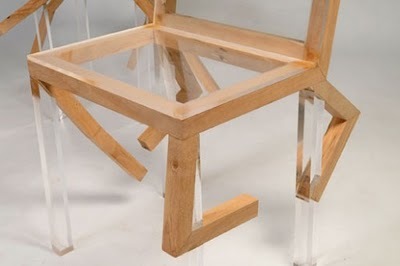 The chair legs were influenced by sketching from the famous frames of movement of horses galloping as captured by Muybridge. 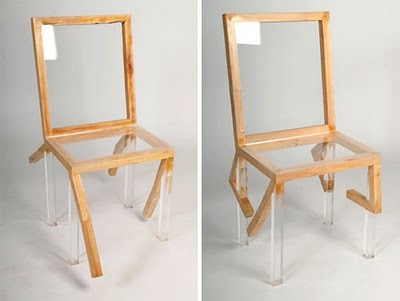 Not the first Muybridge chair to have been noted on this blog/website: here’s a different concept from a while back by Richard Hutten, Time has transformed into furniture. 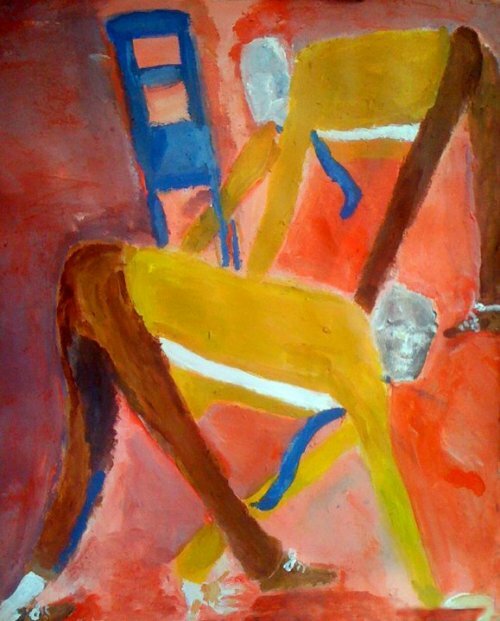 Muybridge, blue chair is the title of this painting by Christopher Rj. 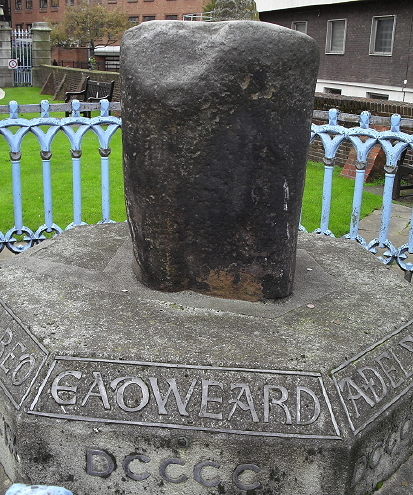 Worth, illustrated on his website Beyond The Post and Lintel. 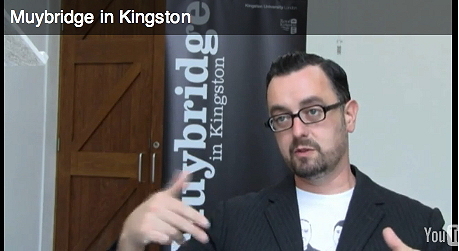 For a succinct guide to the Muybridge in Kingston project, it’s well worth spending 13 minutes viewing the new video featuring David Falkner, Director of the Stanley Picker Gallery. 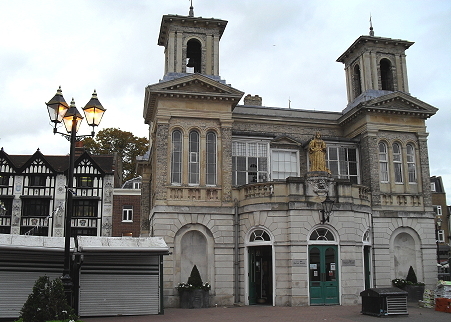 “Kingston University and Kingston Museum have teamed up to run a major programme of events and activities promoting Eadweard Muybridge. This coincides with the first significant retrospective of the famous photographer’s work arriving at Tate Britain from the Corcoran Gallery, Washington DC. Professor Kokaram states that Muybridge used engineers from the University of Pennsylvania (1884-85) to produce the necessary “kit” (exposure devices), but in fact Muybridge’s experiments in “Bullet Time” started before his involvement with the University. An article in the New York Times in 1881 (February 19) entitled ‘Instant photography; results of the California experiments’ described an earlier 5-camera ”Bullet Time” session (1878 or 1879). To go back to the video – Anil Kokaram’s explanation of Muybridge’s contribution is incomplete. 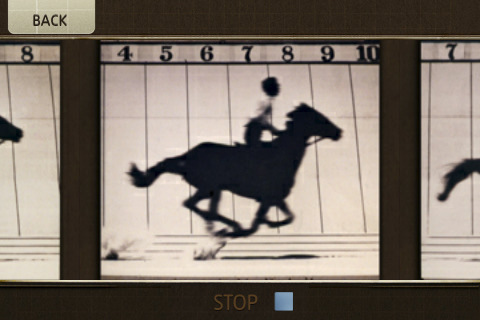 He emphasizes the familiar motion sequences of a horse – “it’s pretty complicated – it’s got wires and stuff” – and mentions multiple camera positions (used in many of Muybridge’s sequences) but the video doesn’t make it too clear that his subjects shot with a semi-circle of cameras – and with just one instantaneous, simultaneous moment when all shutters were released – produced a sequence showing a single frozen moment in time, unlike the majority of his sequences which recorded a progressive movement. 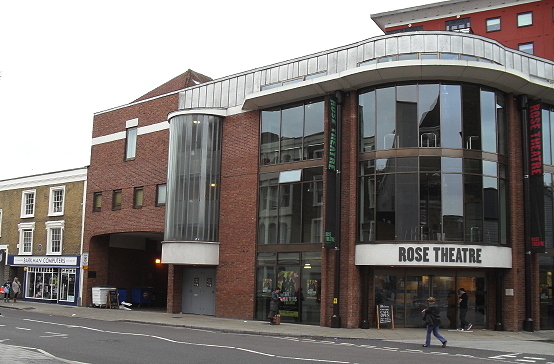 This was a deliberate experiment in multi-position capture of a single moment in time – exactly the same as the TimeSlice and Bullet Time camera technique used in the past two or three decades. This can be seen in the plate shown by Kokaram, Plate 524 from Animal Locomotion (Throwing water from a bucket, Descending a step, Ascending a step, and Playing lawn tennis) and other plates, including 527 (Spanking a child, from three positions), 528 (Carrying a child, Walking with a child in hand, Running with a child in hand), and Plate 522 (Jumping, Handspring, Somersault, Springing over a man’s back). Each of these uses five or six cameras set in a semi-circle and fired simultaneously. As my previous post explains, Tim Macmillan, originator of TimeSlice (predecessor to Bullet Time) was unaware that Muybridge had taken such simultaneous views. 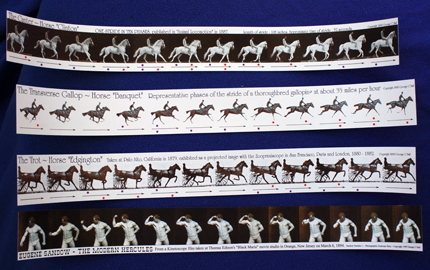 It would be interesting to see these specific Muybridge sequences given the ingenious treatment developed by Professor Kokaram and his colleagues – which would enable us to see Muybridge’s original experiments with “Bullet Time” improved by creating interpolated inbetweens, to give a smooth sequence, rather than the jerky result created by the limitations of using only five or six cameras. 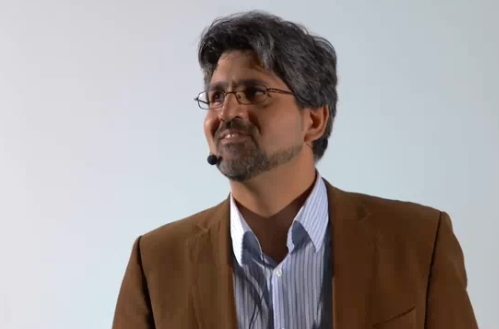 Anil Kokaram won an Academy Award in 2007 for his development of visual effects software for the film industry. Two new Muybridge-related products have recently appeared: “L’Affirmatrope” and the “Muybridgizer”. 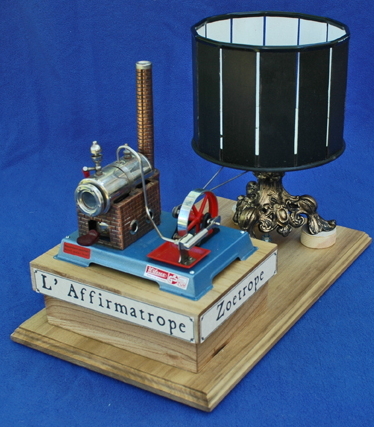 The Steam Powered Improved Zoetrope or “L’ Affirmatrope” is created and built by my old friend Professor George Hall, the Wizard of Zoe, who also happens to be the eBay seller. “The improvement to the classical Zoetrope which was invented in 1834, is that the slots on the drum are made full length by slats attached to a 13 faceted floor, rather than the usual construction of half-length slots that are cut into a round drum. This design allows the entire set of images on the floor to be seen when no strip is inside. The reason I have named this invention “L’ Affirmatrope” is because messages of Affirmations on the floors can move freely from the moving images to the sub-conscious mind of the viewer. You can also view Crop Circles through the Fibonacci Frequency of 13 or watch Mandalas come to life. Or…. you can just enjoy the machine as a Zoetrope with the historic strips and floors provided and not worry about all that New Age stuff. The steam engine is a used Wilesco D6 that comes with the original box…. No one in the world knows more about how Zoetropes work and the intricacies of their animated designs, than the ‘Professor’. “The Muybridgizer allows iPhone photographers to take pictures inspired by the iconic works of early photographer Eadweard Muybridge. The release of the app celebrates the opening of a major exhibition of Muybridge s work at Tate Britain (8 September 2010 16 January 2011). The Muybridgizer freeze-frames the moving world, just as Muybridge did with subjects ranging from running horses to leapfrogging boys.